As we come to the end of this year, it is hard not to have goal making on my mind. I for one can't help myself; I end up making loads of unrealistic goals I consequently can't keep. 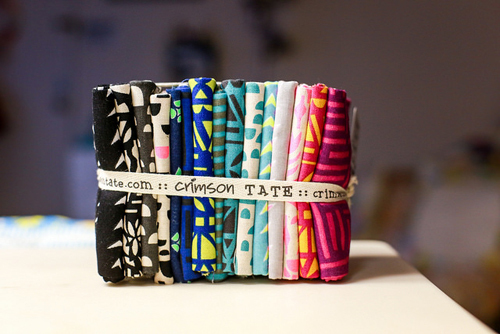 When it comes to crafting, I enjoy reminiscing about the past year's projects and dreaming up new ones. I am a planner, so the process of figuring out what I would like to make next is not only necessary, but also something I look forward to. On the other hand what good are goals and plans if you can't keep them? Goal making can be very personal and I think we all approach it differently. My general life goals are to eat better, relax more, exercise, etc. Pretty run of the mill. For crafting though, I like to change things up each year to help keep myself creatively inspired. When I sit down to make craft related goals, I try to keep in mind that they need to be flexible. I think that's one of the hardest parts about keeping crafty goals. Sometimes you have to go where your creativity takes you. To set yourself up for success, goals should also be measurable, specific and realistic. Let's make some goals together! For me, the measurable aspect is the most important. It is so satisfying to feel like you are making progress and it can help motivate you to keep working. So, instead of a goal to "finish more projects", a goal to "finish 10 projects" is more measurable. It's important to measure your progress often throughout the year or time period. This may mean breaking your goal down into smaller, more manageable goals. Being specific about your goals makes them easier to understand and achieve. Rather than a goal to "finish 10 projects", a goal to "finish 10 throw quilts" is more specific, but still pretty vague. 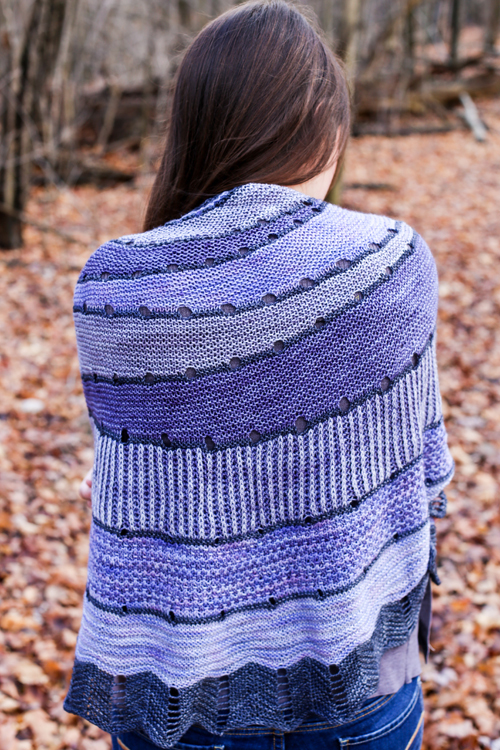 Think about mapping out projects you would like to make and think about what patterns and fabrics you will use. 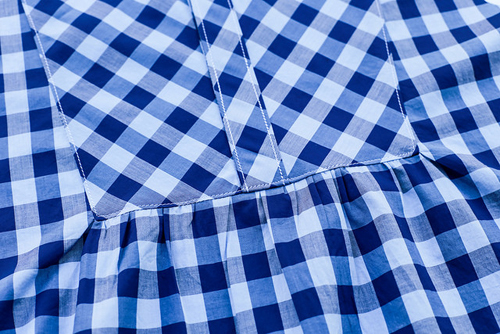 Consider pulling fabric for a quilt or project and taking a photograph to remind yourself of your choices. Pair it up with the pattern or instructions and you'll be ready to tackle your projects as you have time throughout the year. Finally, your goals need to be realistic. If they are realistic, you are more likely to meet them! 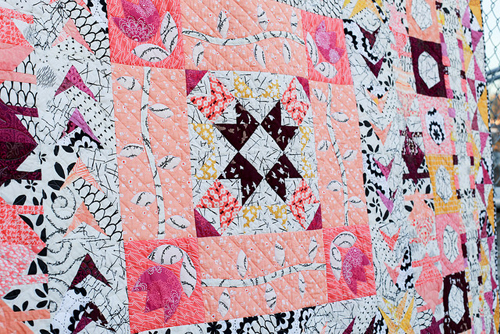 Perhaps finishing 10 throw quilts this year is too high, evaluate your time and energy and arrive at a realistic goal, perhaps "finish 6 throw quilts". This doesn't mean you should undersell yourself, but being able to reach your goals will help motivate you work towards them. So you've got your goals, now what? It's time to break those large goals into more manageable and actionable pieces. 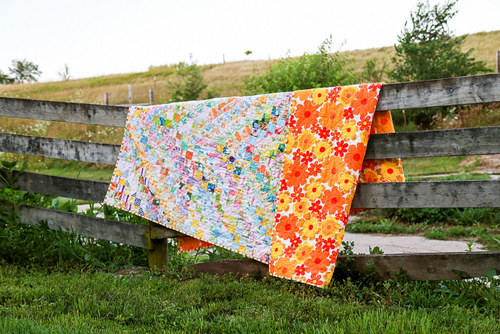 For our "finish 6 throw quilts" goal, we can break that down into a quilt every two months. 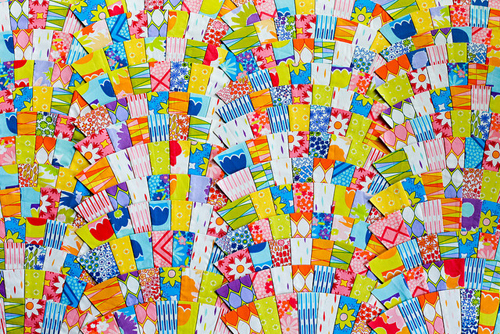 To help meet that goal, you could choose to start a quilt every other month. Break down the steps within the project and assign them to certain weeks or days. 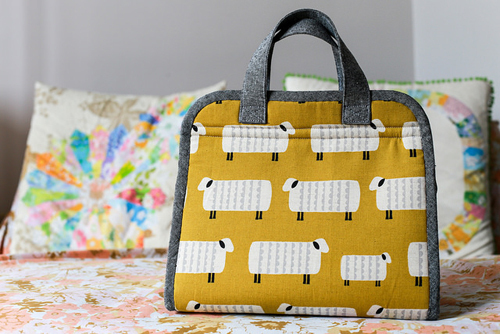 This may involve some upfront work each time you start, to choose fabrics and a pattern. This of course isn't the only way to work, but it can be a good way to get started, and thinking about your goals in a less overwhelming way. These are great tips for project-based goals, but what about the process? Consider making some non-result oriented goals, like "find more meaning in crafting". This could be a much deeper goal, which would take more planning and thought than a project-based goal. It's not quite as measurable, but adding a journaling component or checking in with a friend could help you track how you're feeling. Making goals with a friend is not only more fun, it gives you someone to help keep you accountable. This past year, Jacey and I had a number of goals that lined up together, and it was really motivating. Knowing that if I didn't follow through she'd be asking me about it was the little extra push I needed. On the accountability front, posting each month here on the blog about my goal progress helped a lot too. I didn't want to have to admit that I was falling behind or not meeting my goals. Think about how you might reward yourself for meeting your goals or making progress. 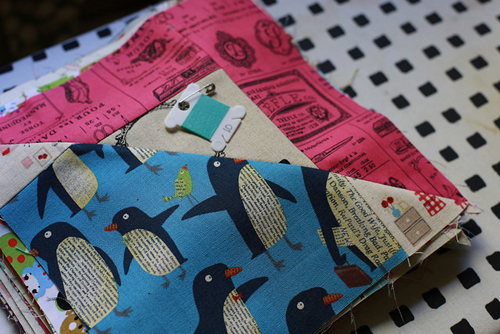 It could be a little fabric shopping spree, or starting a shiny new project. Consider what would help motivate you to work towards your goals! As 2016 wraps up, I am taking time to reflect on what parts of my crafting really make me happy. Maybe it is a particular type of piecing or project. I also like to continue to grow my craft, so I like to come up with a project or technique that is outside of my comfort zone for the new year. Do you make crafty goals? I'm looking forward to sharing my goals for 2017 soon! I always try to make at least one quilt for charity, in fact I have so many quilts that the rule is if I make a new one another one needs to go out the door, I work in a dialysis clinic, our patients are always cold a quilt is just what they need, if you look you'll find a dialysis clinic in you neighborhood that would love to have some lap quilts. For a fairly Type A achiever, I find goal making to not work well for me other than as a guiding idea. "Make more quilts" would work for me, because it leaves me free to work on what/when I'm inspired. But, I do try to stop a couple of times a year and think about what I've accomplished and what more might be fun to do. There is also my rebellious streak that pops up and says, "But I want to do THIS. ", too. Of course, crafting is not my business, so I am more free to swap in one large, complicated quilt for generating several new (possibly smaller) ideas to share. That said, I'm grateful for the diverse and interesting crafty things you share with us in this space. 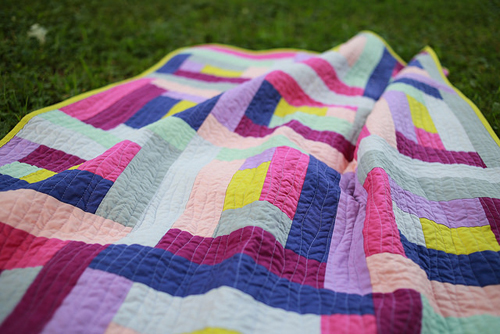 LOVE how you broke up a post about goal setting with tons of BEAUTIFUL quilt photos!! I make crafting goals and health goals only to forget to focus on them after a few months. I guess that means I need more specific and attainable goals next year. Thanks for a thought provoking post!! I'm retired so I have another method. I have a "project container" in my sewing room into which I will add a small piece of paper with the name of a new quilt pattern I would like to try. This works great if I have a special day for someone coming up and need to decide on a project. This is an excellent idea Myra! I think I will give it a try this year. There are always things I see that I want to try but if I don't write it down I often don't remember it for later. But what are your goals for 2017? 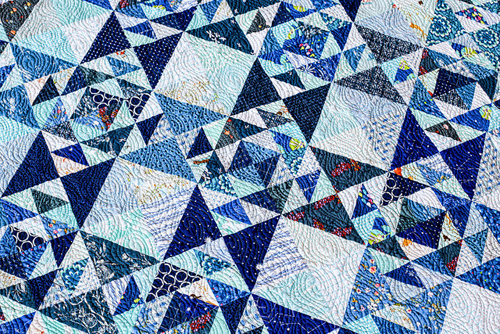 I know you're moving away from the designing element of quilting, so I wonder what's next for you? This is an awesome post! This year I decided to join the finish along on Instagram. 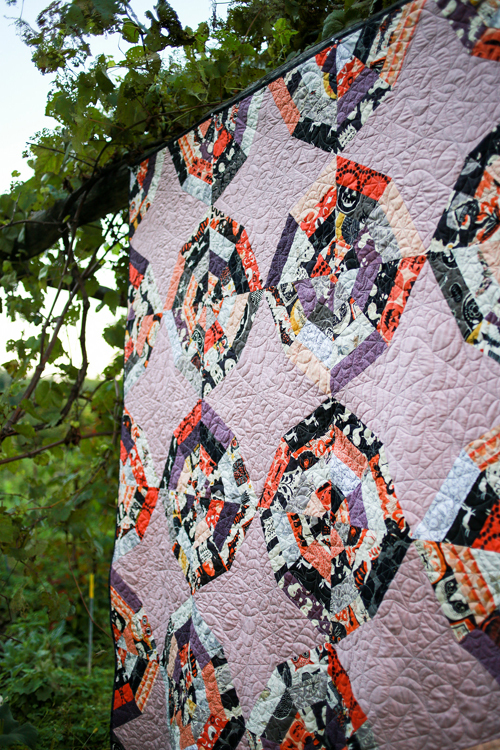 I learned so much about myself as a quilter and a finisher! The first two quarters I made realistic goals, finish 4 projects, and I was successful. The 3rd quarter was summertime and I only finished 2 projects. So for summer 2017 I will lower my expectations. Plus I enjoyed the process more when I didn't fill rushed. 4th quarter I finished nothing but worked on everything. I learned that if I'm going to finish my WIPS I need to take one WIP at a time and complete it before I start the next WIP. For 2017 I'm going to break down the process just like you advised. And make smaller goals so I feel more accomplished! I hope your Christmas is merry and bright! I loved the photos you shared here. Boy, goals. I forgot what those were. I am taking care of my dad now, especially since mom died in October. also, my beloved Pierro died just last month. I am still very very heartbroken. I want to meet some goals.